Let’s face it, the old saying is still true, “good help is hard to find.” Depending on what type of business you have and the positions you need to fill, that may be putting it lightly to say the least. With the labor shortage in the remodeling industry, just being able to find enough applicants that meet the minimum qualifications can be a challenge. The Apollo Agency LLC focuses on helping home improvement companies with their recruiting needs and has two primary services depending on what makes the most sense for the individual business. 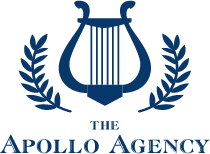 The Apollo Agency provides premium staffing services for the home improvement industry. After an introductory call to go over the specifics of the position and to get a sense of your company culture, that is all we need to get the process started. From there, we will write a detailed job description, tap into our vast network of millions of potential applicants, conduct initial prescreening interviews, and only introduce you to the select few qualified applicants. We are compensated based on performance, if you don’t hire a candidate we bring you then you don’t owe us a dime. Taking it a step further, if the candidate doesn’t last 90 days you will receive a credit on your account and we’ll replace them at no additional charge. ProFinder USA is proud to be America’s Home Improvement Marketplace. The consensus among the top replacement contractors, remodelers, and general construction companies is that the #1 challenge they face is retaining talented employees. ProFinder USA is the only website dedicated to connecting talented individuals with today’s largest home improvement contractors. Going beyond jobs, ProFinder USA fills the void for dealer and franchise networks looking to cost effectively market to today’s top local contractors. ProFinder USA’s exclusive B2B marketing platform for the home improvement industry will change the way contractors learn, research, and ultimately choose what networks they join, products they carry, and vendors they select.